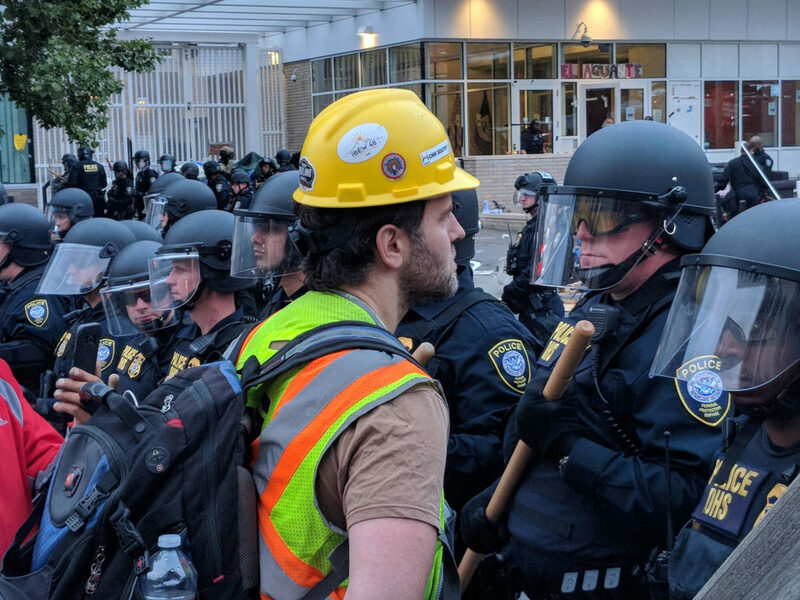 Update on #AbolishICE arrestees in Portland from the General Defense Committee. All of the defendants have chosen to fight their charges & take the state to trial! Court dates are all tentatively been set for Nov. 2. If you want to support comrades standing against the state’s intimidation tactics, email [email protected] to get plugged in! Following implementation of Trump administration’s “zero-tolerance” immigration policy, U.S. Immigration and Customs Enforcement traumatized over 2,500 children and families by forcibly separating them in an act of terror intended to frighten and deter other immigrants and asylum seekers from seeking refuge in the United States. In a clear violation of fundamental human rights, these children and their families are held indefinitely in cages. Despite a court mandated deadline for reunification by July 26th, nearly 500 children are still being held, suffering abuses in the hands of a state system ill prepared to deal with the ramifications of a hastily enforced policy with no clear plan or intent to reunite the families. All of the defendants have chosen to fight their charges & take the state to trial! Court dates are all tentatively been set for Nov. 2. When our government blatantly commits human rights violations while our elected representatives refuse to act, we are morally compelled to take action and stand in solidarity with immigrants, refugees, their children, and their families. Occupy ICE PDX began in response to this xenophobic administration and policy with just a handful of activists on June 17th. It soon swelled to over 100 tents and sustained an active around the clock encampment and demonstration for five weeks, shutting down the U.S. Immigration and Customs Enforcement Office for nearly two weeks and sparking a movement which took hold nationally with occupations still going strong in several cities and demonstrations continuing daily, including Portland, where the occupation continues downtown across from City Hall. We’re here at the US District court with around 20 ICE Breakers & antifascists who were arrested by DHS for standing up against fascism & white supremacy! There are so many defendants & supporters here that we can’t all fit in the courtroom. Thank you all so much for coming out! We are not guilty. The United States government is guilty. No one is illegal on stolen land. Abolish Immigration and Customs Enforcement (ICE)!